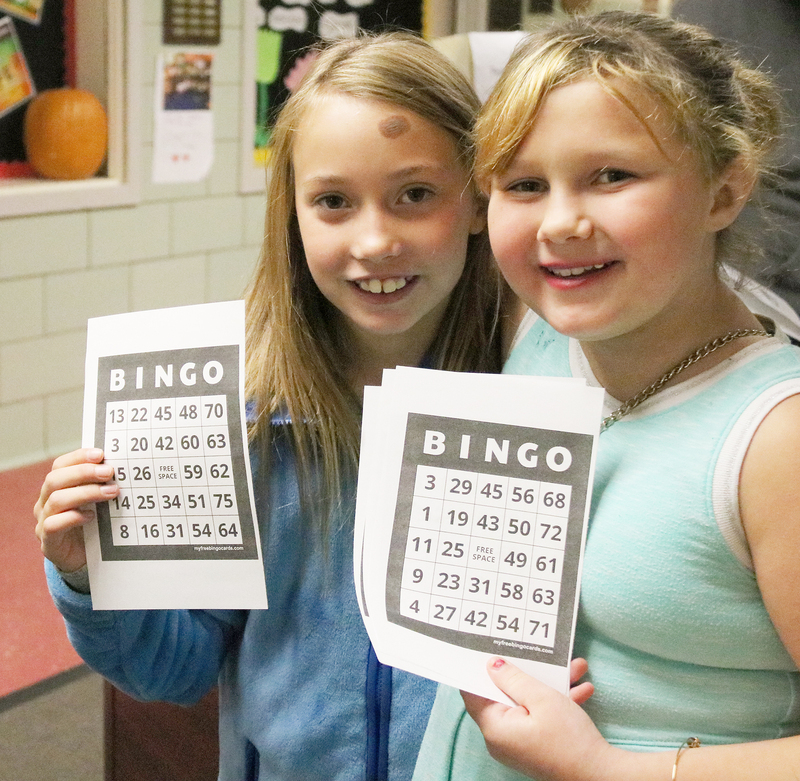 Fourth graders Alexa Smith, left, and Madyson Holley distribute bingo cards during the sixth annual Fourth Grade Bingo Night, which raised funds for an academic program the fourth grade will utilize later in the school year. Hard work has paid off for fourth graders at Lanigan Elementary School. 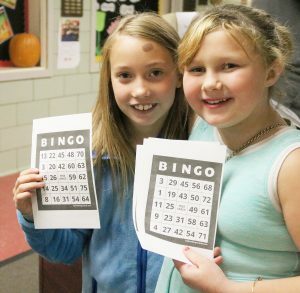 Several students worked shifts of various jobs during the sixth annual Fourth Grade Bingo Night in the school cafeteria. Approximately 200 people attended the event, which sought to raise funds for the fourth grade Bricks 4 Kids program. Jobs included greeters, hand out bingo cards, ticket sellers, food stand workers, drink station workers, water bottle collection, prize attendant and bingo caller assistants. Lanigan Principal Jeff Hendrickson served as guest bingo caller. Fourth grade teacher Tracy Waldron said the night typically raises several hundred dollars from food and drink sales and prize tickets. All funds will go toward Bricks 4 Kids, a program where fourth graders learn about simple machines. Waldron said several community members and businesses donated food, drinks and prizes. Students and their families were also invited to take home a free book and gently-used clothing, if needed.